We have the right to define our identity! What-not is the word for people there isn’t a word for – like Charmian; born in an enemy country, accidentally given the wrong religion and slowly acquiring the wrong politics. She has been trying to escape- or accept- her what-nottery ever since. British stand-up Charmian began her career alongside legends like Bill Bailey and Eddie Izzard and has been creating original intelligent and delightful performances ever since. This is her third visit to New Zealand. 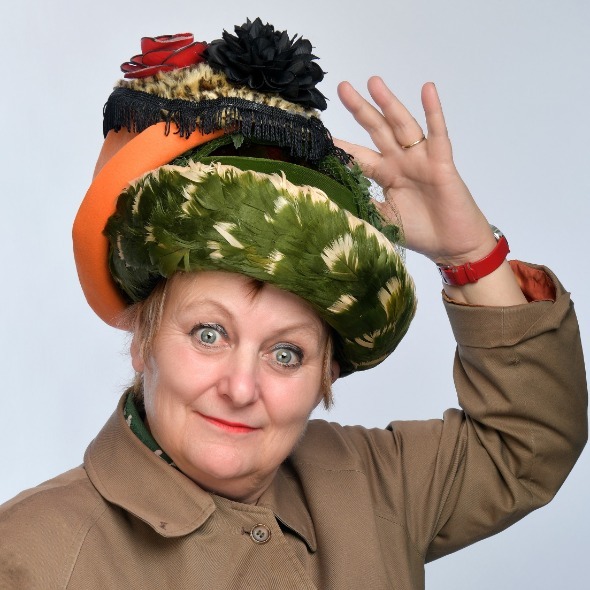 Charmian was 2018 Grand Finalist in the UK Petworth Fringe Comedian of The Year. ‘Captivating storyteller, irresistible performer’ Scotsman.